2019/02/10 Thank you for staying! They are from China and have lived in Tokyo since 4 years ago. They have stayed at Sakuraya in last June, so it was the second time for us to welcome them this time. They speak Japanese very well and we had very good comunications. She is expected now and they will have a new family next September. Thank you so much for staying with us and we look forward to meeting you someday again! 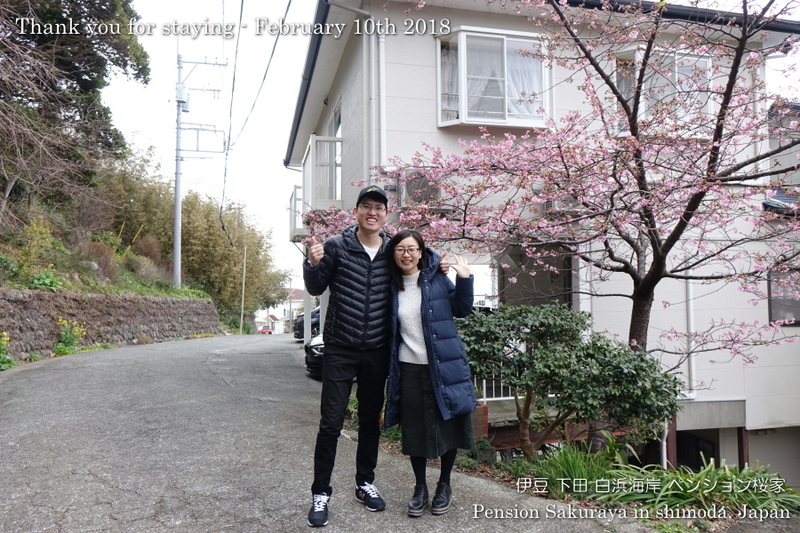 This entry was posted in Customers, Pension Sakuraya on 2019年2月10日 by izusakuraya.